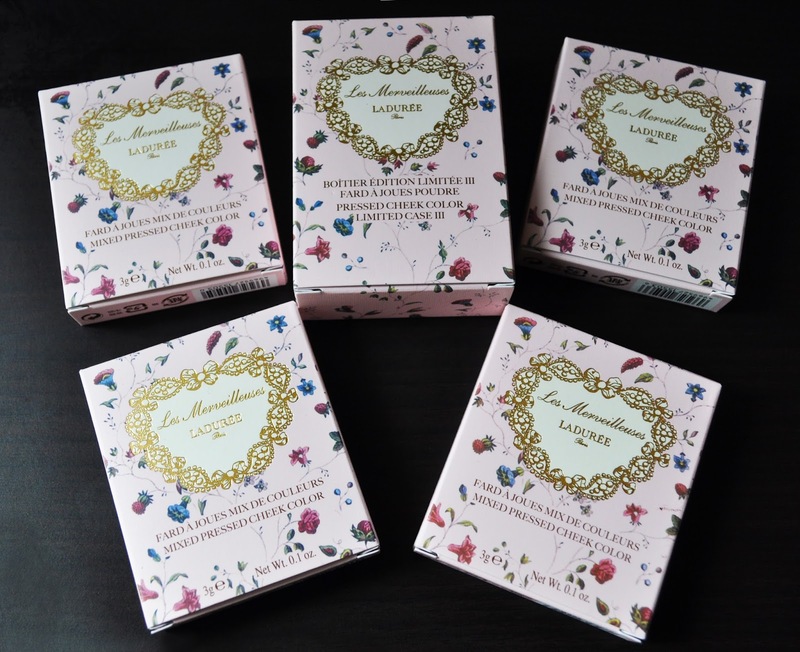 When Laduree released their 2015 Summer Collection, I gave a sigh of monetary relief at the modest selection of beauty products in the collection; four Mixed Pressed Cheek Colors (103, 104, 105 and 106) and the Pressed Cheek Color Case III (all limited edition of course). 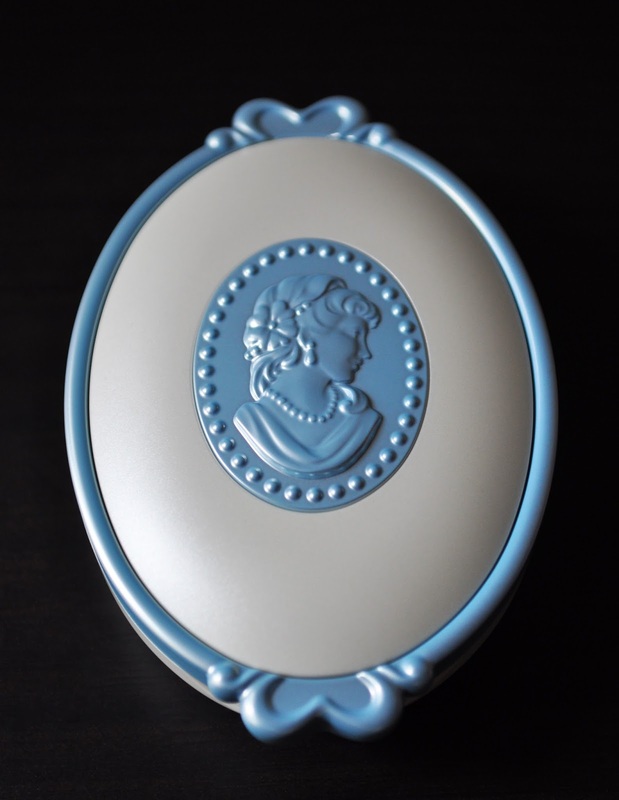 Pressed Cheek Color Case III (1,620 yen) with Cinderella-blue colored cameo and border. From left to right: 103 & 104 (4,104 yen). From left to right: 105 & 106 (4,104 yen). And being a fanatic of blushers, you know I had to buy them all. 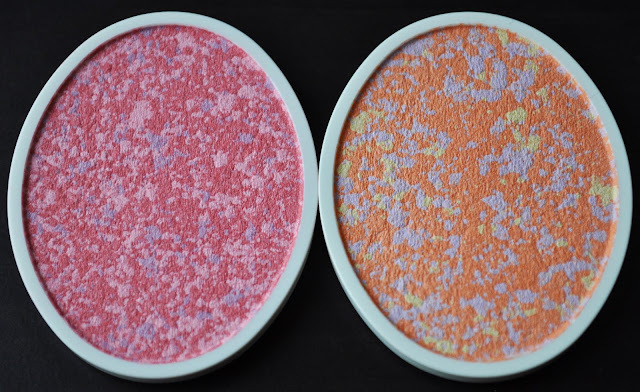 I find that the mixed pressed blushers have more of a satiny finish than the blushers in the permanent range; thus, giving the cheeks a pretty, translucent, soft luminous flush. I totally see it. Whenever you're ready to take the plunge just let me know. So far, 103 and 106 are my favorites. 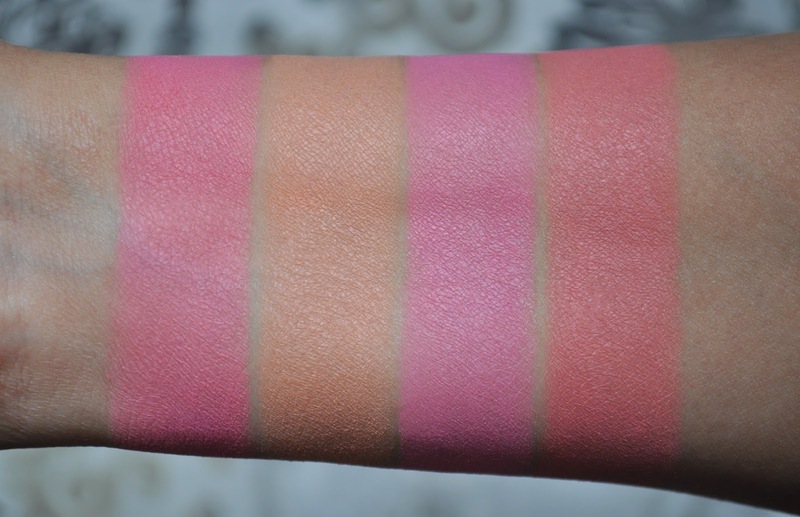 And 104 looks fab layered over the other three blushers. OMG 103 and 106 are like making my heart beat out of my chest! They look so beautiful and delicate! Love the softness of the colors! Those are my favorite shades of the bunch. I love how all of these have a soft sheen that brightens the complexion beautifully. These are so pretty! I love how they're presented but I'm not too keen on the compact. 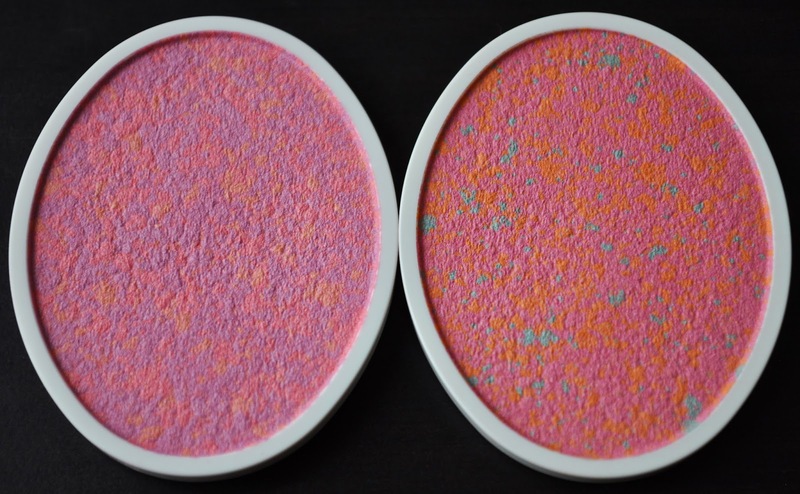 How do you store your refill blushes? ?